As I approach my lofty goal of 5,000 twitter followers in one year (Joined July 4th, 2011), I wanted to share some twitter tips for those of you who may be new to the whole thing. I love the twitter follow-unfollow trick to try to inflate your numbers. People follow you and then a few days later, unfollow you, thinking you wont see or find out. People...we know. Don't do it. With the amount of twitter apps, products and programs out there, we will find out soon enough. I'm not going to name any of the programs, but suffice to say there are a few and they are free for the most part. Anyone that unfollows me will also be unfollowed, too. Just FYI. So, my advice: Unfollow at your own risk. Also, the True-tweet validation thing...I don't do it anymore. If you require authentication, I'm just not going to follow you. It's nothing personal, I just don't have the time and energy to do it all. I do follow most everyone back who follows me. Unless I find that you are a spammer or a 'team follow back' or something like that. Any artist, writer, reader, musician, actor or wanna-be-whatever, I will follow you back! And one more thing...if someone doesn't follow you back after 2 hours, don't unfollow them if you can help it. Give someone a reasonable amount of time to follow you back before assuming they don't want to. I hope this has been enlightening to my friends in the twitter-verse and those would-be-tweeters attempting to enter said lands. Please use twitter safely and avoid drinking and typing. Maybe. Thanks for listening to my rant.Oh, And MATURATION PROCESS will be FREE again for the final two days of the KDP Select this Friday & Saturday (May 31 & June 1st) for those who missed it. Enjoy! All of my work can be found on AMAZON -- Kindle versions here! Last Day of FREE eBook! Last day to claim a *FREE* eBook! Begin your journey into the Realm of Ashenclaw today! As they crept forward again, they finally caught a glimpse the source of the snoring—a giant! The thing was massive, easily reaching more than twenty feet in height, and surely weighing in excess of one thousand pounds. There were animal furs covering most of its lower half, while its chest and upper torso were bare skin, bristling with coarse hair and corded muscles. As they neared the sleeping giant, Elec noticed that it had the widest jaw he’d ever witnessed on a living creature. He had seen ogres before, raiding his village once after they had somehow crossed the waters of Sunrise Bay to attack them, but they were reminiscent of children when compared to this giant! It was balding with only a tuft of auburn hair upon the top of its head and a scruffy clump on either side of its jaw, framing its face. It was somewhat bloated, as the ogres had been, but had muscles everywhere along its arms and chest. Scraps of animal parts, bones and uneaten flesh lay all around the sleeping behemoth, and also piles of animal hides piled so high that Elec was uncertain as to whether the skins were mere pelts or whole creatures. Shardrin circled the giant, short swords in his hands, as it lay sleeping, its back up against a crop of rock that projected up from the floor and was covered in skins. Elec approached also, sipping an elixir, then removing his sword from its scabbard. As he neared, he heard a crunch underfoot that echoed throughout the chamber. The creature first opened one black eye—the shade of the darkest of nights—and then the other, affixing its gaze upon the approaching elf, curiously at first. Then its brow furrowed and it snarled at Elec. Its mouth opened and it displayed a misshapen row of yellowed teeth, with some missing, but those that remained were sharpened at the tips. As it stood, reaching its full height of twenty-five feet, it remained hunched-forward, its substantial arms stretching almost all the way to the ground, reminding Elec of a carriage resembling that of a gorilla. The giant barely fit within the vast expanse of the spacious cavern now that it was upright. Elec froze, paralyzed by fear at the sheer enormity of the giant. It was truly massive, thought Elec as it reached for a club, which was in reality the trunk of a tree, the base of which was worn smooth, no doubt from incalculable usage. 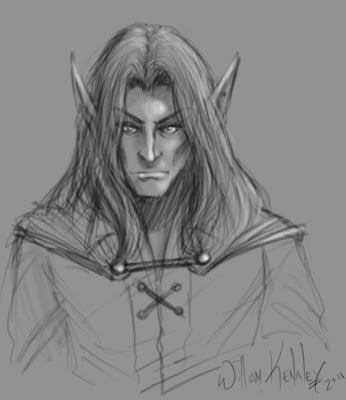 It swung the tree across its body, meaning to turn Elec’s bones to powder, but the elf regained his sensibility. He rolled nimbly backward and under the swing as the club slammed into the wall of the cavern, creating a thundering cacophony that echoed throughout the chamber, seeming to shake the very walls themselves. Elec looked up from the ground and glimpsed flashing blades as Shardrin leaped from a ledge above the giant, landing squarely on its back. He disappeared behind the girth of the mighty behemoth but must have landed a solid strike as the giant howled in pain and dropped its weapon. The giant turned slightly in a vain attempt at wresting the elf from its back, allowing Elec to see that Shardrin was out of the reach of its grasping hands. “Strike!” Shardrin called out to Elec, who held his enchanted blade firmly in both hands. He downed another potion quickly before running straight at the giant, slashing wildly many times and scoring several hits. He remembered that his uncle had told him of the magic within the blade and trusted that this was exactly the time and place to make use of it. Maturation Process FREE Memorial Day Weekend! I am releasing Wothlondia Rising 3: MATURATION PROCESS for FREE this weekend (Friday, Saturday and Sunday only) on AMAZON Kindle as another promotional endeavor to bring my wonderful blog readers and friends into to the Realm of Ashenclaw. 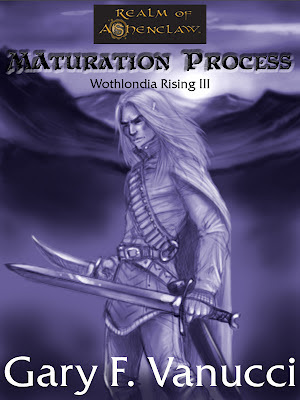 Wothlondia Rising are prequels to Covenant of the Faceless Knights. They are a series of short stories set in the original fantasy setting entitled the Realm of Ashenclaw. The series details life altering, significant events from the past that shape the course of these important characters, setting them on the path that will change their lives forever! Cover art provided by William Kenney! 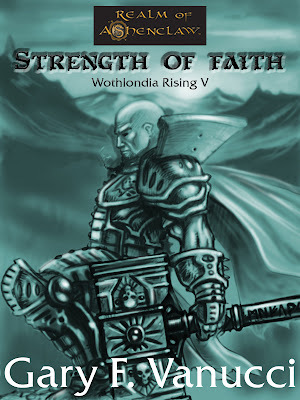 I am releasing the fifth installment of the Wothlondia Rising series tomorrow, this one entitled Strength of Faith. One sample will be here and the other will be on SKULLDUST CIRCLE. They are two very different passages, so I hope you check them both out! 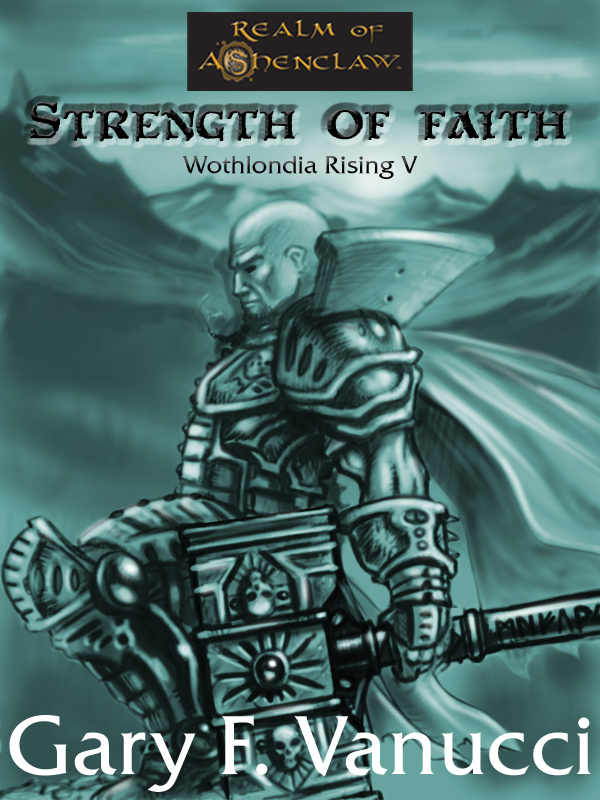 Strength of Faith is a tale that paces a young acolyte of The Shimmering One, Garius Forge, on a path that tests his spirituality and also places him face to face with a demonic presence that has the power to alter the face of Wothlondia forever. Will his reverence and devotion to his deity be enough to overcome this horrible demon? I hope you enjoyed the excerpts. Brand new exclusive excerpts from my newly re-released debut novel on Kindle for $4.99! Thaurion slowly approached a door. He turned the handle and it opened without a noise, thankfully. In he stepped and observed many shelving units holding various books and scrolls. The shelves were many and set up to give the room a maze-like quality. He walked down one aisle and pulled a book from the shelf. He peered through the gap made by the vacant book and saw a blue eye glinting back in the torch light. Thaurion gasped and let out a loud and involuntary yelp, quickly turned to run and inadvertently smashed headlong into one of the shelving units, smacking his forehead hard against its solid framework. He fell to the ground as his world was suddenly spinning. His vision blurred as he tried to rise. Again he turned to run, disoriented from the massive blow he inflicted upon himself and saw the huge bulk of something moving toward him, hands outstretched and reaching for him! 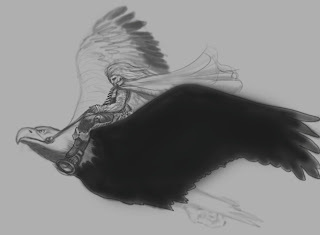 He panicked and again, Thaurion found himself running into another unyielding obstacle. Looking back to see if the creature was following, he ran headlong into the thick door frame this time and the darkness claimed his consciousness. Garius began an incantation himself, invoking a blessing to The Champion, the god of war, as the more primal and savage orc began to shuffle toward him. In answer to his prayers, he became instantly infused with divine strength. His adrenaline spiked and his muscles expanded slightly, his armor adjusting with the transformation. He was clearly larger now and even more powerful than before within his plated armor. He removed The Repentant from his back, infusing it with holy energy as the runes burst with radiant light and the hammer’s head shone brightly. He met the first blow head on from the bone-hewn staff, erupting in a loud and thunderous impact that rung out within the spacious cavern as the two engaged in a divinely driven death duel. Orngoth used his club and his fist, smashing bone and flesh and simply extinguishing the life from the goblinoids barring his way with his forceful swings. He hit them with such tremendous force that most of them died instantly. His prey was close now and he recognized a grin begin to creep across the commander’s face. Only one orc stood between Orngoth and Grubb now as he gripped his club with both hands. He then brought the full weight of the massive club down upon the creature, shattering many bones and receiving a parting slice across his left thigh as he did. Oblivious to the pain, he kept moving. In a show of either great bravery or great stupidity, the orc managed to stand again. Orngoth battered it absently over and over again until it stopped twitching. He roared and stood on top of the dead orc’s helmet and then snarled at the commander. A dented and misshapen shield appeared in the commander’s left arm and in his right hand, he held up the gem that Orngoth held so dear in a teasing manner, wagging a finger at him. “Not a step closer beast or I will destroy the gem,” Grubb warned. I hope you enjoyed the new excerpts. A ROSE IN BLOOM FREE AGAIN! 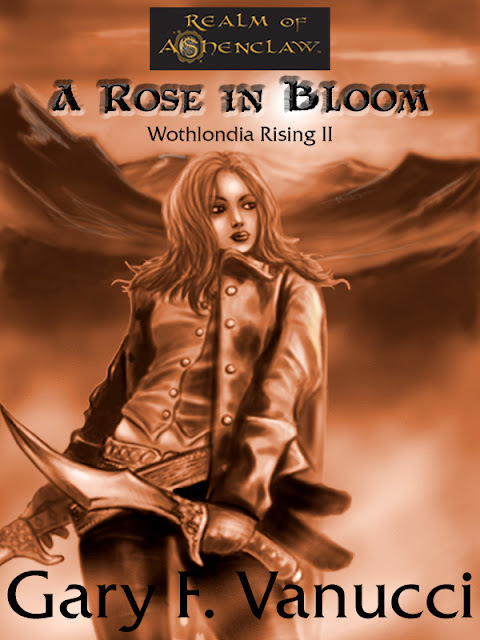 This Friday and Saturday (May 18th & 19th), My Wothlondia Rising 2: A ROSE IN BLOOM will be absolutely FREE! This will be the last 2 days for the FREE promotions, so snag yourself a copy and step into the gritty world of this youthful rogue as she learns some valuable life lessons! Take a Walk With Me...Over To Skulldust Circle! ...If ya’ know what’s good for ya’! Simply click the follow this blog link and then let the fun begin! I am going to be shifting my efforts over there in the near future to add to the amazing writers already gathered there. Join the likes of William Kenney, Jeremy Laszlo, Ben Martin, Ross Kitson, David Woods, Stefain and Gary Vanucci (that’s me). That being said, I will check back in here and re-post and continue to shoo you all over to Skulldust, but I will check in from time to time for important announcements and will double post here and there for a short time until you have all followed me over there! I appreciate all of my fans, followers and contributors from here and love you all…truly...so in order for me to continue this loving relationship, please follow me over to Skulldust Circe if you haven’t already…you will not be disappointed.I promise! The five servants of The Shimmering One formed up next to one another, Bralon at their head, as they absorbed the brunt of the undead charge--creatures slamming into their blades and shields in a cacophony of screeches and guttural sounds unintended for man’s ears. Filled with a blessing of divine strength, the paladins slashed and sliced into the sickening and diseased flesh as body parts were sent flying away. Garius could sense the stench of disease on these filthy abominations and a miasma of contagion was released into the air around each and every one of the foul creatures. He waded through the dead bodies on the floor and allowed the invigorated knights to cut a swath through the horde of zombies. 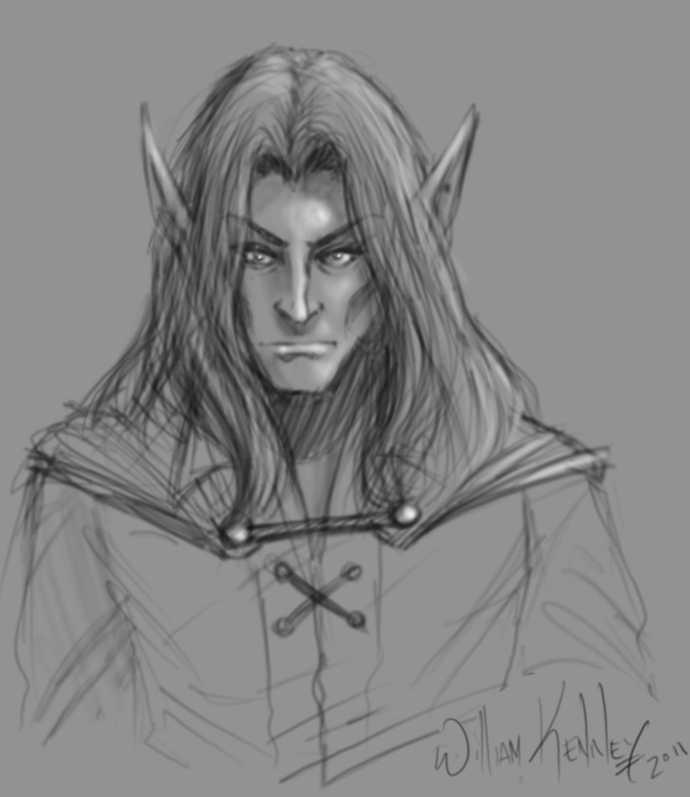 He removed his holy warhammer and gripped his shield tightly, fastening it to his left arm as he joined them. For several moments, the divinely charged warriors cut down their enemies with ease, never slowing or tiring and their blows were charged with the strength of a dozen men. Blow after blow took the zombies down, one by one, until the speed of their attacks slowed. Divah watched from afar in horror and felt the bile within her throat, threatening to spew forth. How are they doing this? she thought, seeing the volume of the undead creatures and knowing that there were only five of them. There are dozens of the foul things! She held fast and watched with mouth agape as the scene unfolded. Garius strode into the midst of the chaos and mouthed a prayer, holding his sun-symbol in his grasp as reassurance and continued his invocation with conviction in his tone. The paladins heard his words and pressed their attack, not allowing a single of the anathemas within to disturb the warpriest. The words grew in strength and reached their crescendo as the priest held both hands on high. “You shall not win this day!” Garius screamed as his eyes filled with a white light as did the rest of his body. That radiant and brilliant energy burst forth from him all at once, bathing the area in light so bright that none could see within the divine beacon. “Your perdition is fulfilled!” Garius shouted as the radiance burst forth from his body. Undead creatures fell in droves around the holy attack, simply melting or reduced to ash right before the eyes of the paladins. Micah swung roughly at a zombie and nearly sent himself sprawling to the ground as the creature turned to nothingness right before his eyes. All told, several dozen of them fell under the ubiquitous light. But when their vision cleared, it seemed that a dozen more simply took their place. Is Hunger Games 'Ditz Lit'? I just saw an article that was pretty interesting. In it, the author claims that genres such as paranormal romance, urban fantasy, and YA dystopian are catering to emotionally stunted teens and presents a base theme that teens are the heroes and portrays adults as the villains. I am simplifying the gist of it. He specifically names the Hunger Games in his article obviously because it is topical and extremely popular right now. He is suggesting that if the trend continues and we use movies to promote books, we can expect all literature that is being churned out nowadays to target the high school young adult and all other literature will fall by the wayside. And let's face it--who has more time to read and disposable income on their hands? Again, I am not saying it is wrong at all, just seeing a logical trend and thought I'd share it with you because it was extremely interesting to me as both a writer and a reader. I am not going to share my opinion on this at all, so I will let you all decide and perhaps be so bold as to share your opinions. The article can be found here if you want to read it in its entirety. I found it interesting at least...did you? New Look Covenant of the Faceless Knights! I am here to share something with my blog followers--Covenant of the Faceless Knights is getting a makeover and a price reduction! I am in the process of re-releasing the book in its second edition. This one is edited by the incomparable Stephanie Dagg, whom I highly recommend! And the book will be shown with a brand new cover produced by the amazingly talented William Kenney! I will also be working on getting a paperback through CreateSpace shortly after the Kindle version goes live. I am not sure what that price will be yet, but news will follow here, so keep your Eye on Ashenclaw. I am hoping to have the book available for release again in the coming week (and possibly this weekend--*crosses fingers*) I will probably do a Kindle for the KDP select program for people who may want to borrow it. The price point will be $4.99 (probably) I believe from the start and I plan to release Garius' short story in the Wothlondia Rising series: Strength of Faith, by the end of May as well. That will be followed by Reflections, the Orngoth short story to be released in June, which will wrap up the Wothlondia Rising series. If all goes well and edits and cover are finished for book 2 in the Beginnings series, Secrets of the Ebonite Mines will also be available by Summer's end! I don't know about you guys, but I am pretty excited. Please tell me what you guys think of the artwork for the cover and I hope to see some sales when it finally gets released. Make me proud, friends! I felt I needed to revisit this subject to clear things up. 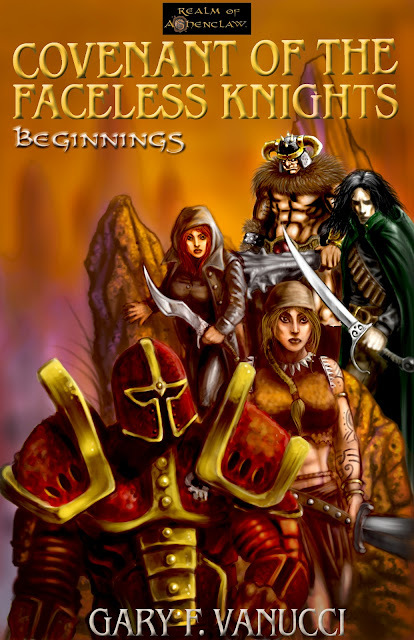 I simply wanted everyone to know (especially new readers to the Realm of Ashenclaw series) that all of the Wothlondia Rising 99 cent short stories are prequels to my novel, Covenant of the Faceless Knights (which is getting a makeover shortly--in progress--will keep you posted). The short stories take one of the main characters and describes life-altering events approximately twelve years prior to the novel which helps place the characters on their chosen paths. I've had a few readers ask me questions regarding my Wothlondia Rising series, so I wanted to reiterate their purpose. 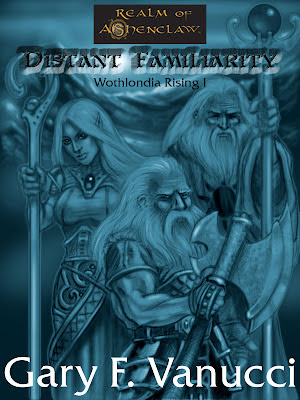 The events that take place specifically in DISTANT FAMILIARITY detail happenings that continue right here! Enjoy this free excerpt from my novel and I hope you come back for more! I ask this very simple question because, a while back, I was not reading at all! I had a discussion with a friend and fellow author and we began to chat about not having time to read, with everything else happening in our lives—work, writing, editing, sports, romance, family, sleep—and the list goes on. I am sure you’ve all heard it all, right? I thought to myself: “how am I not reading! ?” It was crazy! I used to read voraciously and it was what made me want to write myself so many years ago. So, I made a promise to myself to never let it happen again. 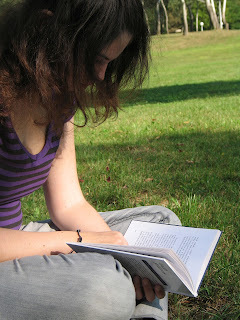 So, I made time to read (and especially if you are a writer), I would hope you do, too. One thing came up about twitter followers. Most of mine (and his for that matter), happen to be writers. He seemed to think that having writers follow you meant that they were only that: writers. I am here to say: nay! Am I right? Please say yes! 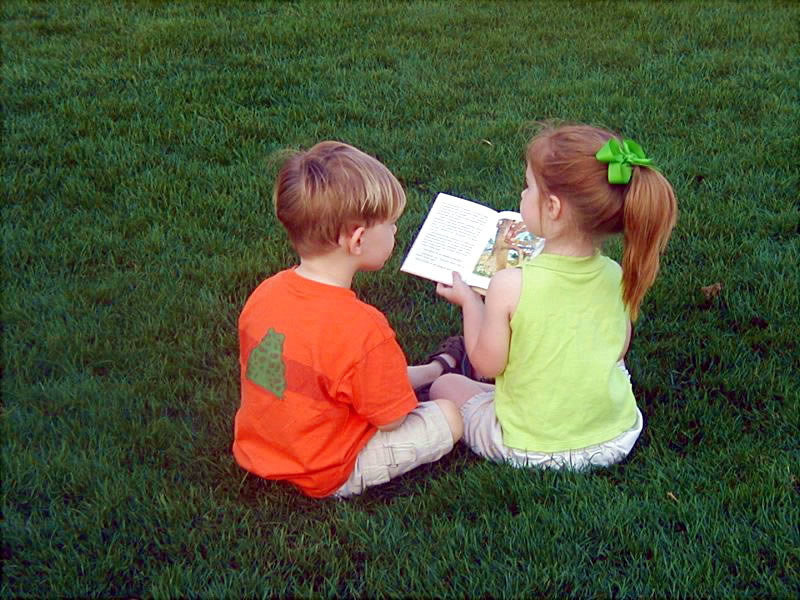 Do you make time to read? Please comment and let us know what you are reading, too, if you don’t mind. As a side note, I very much enjoy the site Goodreads and would highly recommend any and all of you to join the site! If you do, please friend me HERE!